Discussions on artistic research is mostly happening in the Global North with very few voices from the Global South and nearly no voices from the Global East. What is going on regarding artistic research in Czech Republic, Latvia, Georgia, Poland, and Lithuania? The countries which used to be the Second World (socialistic and Soviet bloc), and now are fluctuating between past and future, have very different recent hi(stories) about artists being recognized as researchers. Some of them have almost been integrated into the Bologna Process and international discussions with recognition of the 3rd cycle for artists by local governments and funding bodies; however, some of them are still struggling significantly. Some of them used to have 3rd cycle education in fine art and music. Since the 1960s, a few elite schools in Leningrad (St. Petersburg) and Moscow were offering 2-3 years of practice-based fellowship programmes, awarded with an art licentiate’s degree. It was considered a professional degree and it increased chances to get teaching positions in highly respected academies. Both art and music academies in Lithuania overtook this experience and opened similar programmes in the 1990s. It is important to raise a question about the local specificity and regionalism of artistic research. Do we define it as monogenous global concept developed by leading universities and academies in the world? Or is it a heterogenous mode of research practiced with quite large deviations from the Bologna Process and other norms? At least in this moment, quite a few countries from the Global North are still struggling to obtain the possibility for the artists to study in the 3rd cycle and conduct research, because in these two domains tradition and conservatism still prevail. Luckily, some academies there try to be smart and discover new ways to overcome the power of knowledge economies and their inertia. In similar power games (especially related to “delayed” contemporary art history in the East), usually the North is presented as the good example for the East to learn from and “catch up”; but with artistic research sometimes this happens vice-versa. 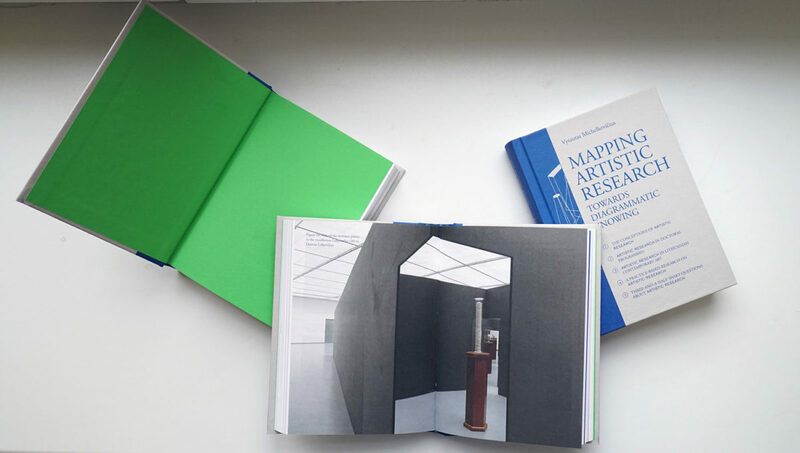 In the book Mapping Artistic Research. 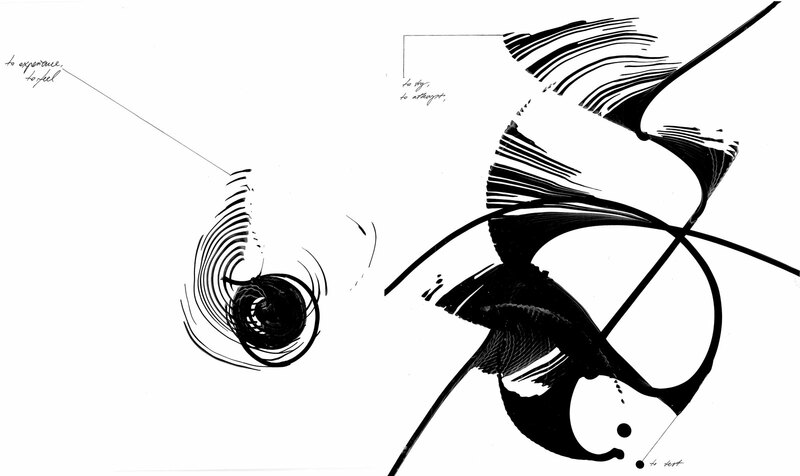 Towards Diagrammatic Knowing (Vilnius Academy of Arts Press, 2018) I have discussed some prominent artists’ work done in Lithuania in the 2000s and early 2010s, before the artists could properly study in the 3rd cycle (Art Doctorate programmes were opened in 2010-2011). All of these art works were produced outside academic context, except for one. Most of them deal with the topics of rewriting history and power relations in Soviet and early post-Soviet Lithuania. These artists manage to work with topics that were neglected or not yet covered by academic researchers, and this allows them to become the comparable stakeholders of these fields (mostly art and design history). Their skills of writing history and telling stories are being recognized and included in institutional and academic contexts. Some of them were selected to represent Lithuania at the Venice Biennale; others became professors in art and design. Language also plays an important role in the understanding of artistic research. A lot of non-English speaking countries are left outside of the discourse on artistic research, mainly because most of the theses are being defended in other languages, and most of the research in the humanities is also being done not in English. Certainly, language is an important medium for conveying research outcomes both in the humanities and in artistic research, and some of the nuances are often lost due to lack of fluency in a non-native tongue. For some of the languages which are spoken by a large amount of people, such as Spanish or German, this might not be an issue; however, for languages which are spoken by a smaller amount of people, the discussion is quite limited. If the method of artistic practice is the main method of artistic research, language is also very closely related to it, especially when there is a need to discuss nuances and details. Because of the same problem, the flow of my thoughts in this text might look a bit restricted and my vocabulary is a bit limited. It should also be mentioned that my book was translated from Lithuanian (Meninio tyrimo suvesti. Žinojimo kontūrais, VDA, 2016) into English by Jurij Dobriakov, and edited by two native speakers. In my book some of the particularities of Lithuanian language are discussed, too. For example, the Dictionary of Lithuanian Language provides as many as seven meanings of the word tirti (to research). Among the usual definitions “to investigate, to test, to try out,” we can find very unusual ones like “to experience, to feel (in the experiential sense),” which makes the process of research much closer to the nature of artistic practice and its outcomes—at least in the Lithuanian language discourse. I have invited artist Anastasija Sosunova to make diagrammatic interpretations of all these seven meanings; they can be read and re-interpreted in the book. A fragment from diagrammatic interpretation of “Seven meanings of Lithuanian word tirti (to research).” Anastasija Sosunova, 2018. Local definition of artistic research? Artistic research is a groping (walking blind) process that intuitively and consistently follows the inconsistent traces of an artist, embodies experiences, and employs original and unique methods to create emotional knowing or acquire knowledge as a by-product. The presentation of its results (rhetoric) is just as important or even more important than the research process. It is an epistemological engine for developing the conception of research itself and human cognition. Although not being institutional, this definition resonates with quite a few concepts repeated in the global academic context. Does this show the power of the international discourse, or the inability to translate the richness of discussions and the density of the map into definitional statements? The whole process of these meetings and exhibition, which I consider one of my (curatorial) methods to implement the research project, is documented in the book as well. More activities related to the project could be traced in my blog on artistic research www.meninistyrimas.lt. It is no surprise that most of the texts are in Lithuanian, but there is quite a lot of visual material, too. My book is one of the voices from the Global East that try to bridge the gaps between several discourses as well as several geographical and mental contexts. It maps the field of artistic research and its manifestations in three contexts: Lithuanian contemporary art, 3rd cycle education, and scholarly research in academia. 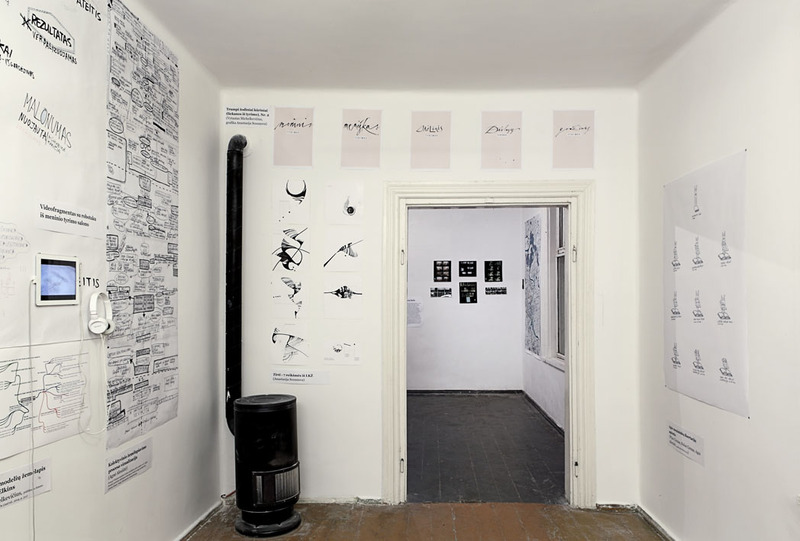 Employing both methods of interdisciplinary postdoctoral research and practice-based (curatorial) research, it outlines the most sensitive issues in artistic research: relationship between theory and practice, connections between art practice and usual modes of research, knowledge and knowledge production, changing identities of artists and researchers, etc. Most of them are discussed in the first chapter, which also includes subchapters on methodological promiscuity and social demand of artistic research as well as curatorship as research. Being written in between three modes of research–scholarly, artistic and curatorial–, it also raises questions about the changing roles of researchers and proposes ways to do artistic research not only as artists but also as curators, social sciences and humanities researchers. In the book, I employ a diagrammatic take on artistic research, both in the sense that knowing of this subject is still diagrammatic (kind of imaginary and not yet final) and that some statements here are exposed in twenty-five diagrams.